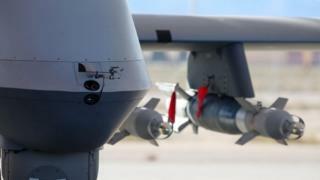 US air strikes have been killing civilians in Somalia, in a possible violation of international humanitarian law, Amnesty International says. The US military's Africa Command, or Africom, says it seeks to avoid civilian deaths, and insists the only casualties from its strikes have been "terrorists". Brian Castner, Amnesty International's senior crisis adviser on arms and military operations, said the civilian deaths indicated that US secrecy over its role in Somalia's war had effectively provided "a smokescreen for impunity".